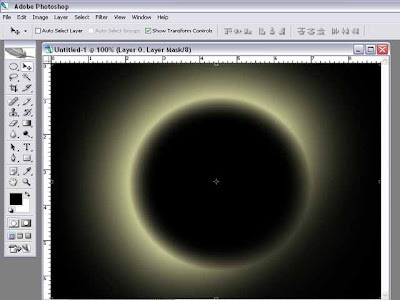 This a tutorial to create an eclipse artificially in Photoshop,originally written by my friend Satwik Sharma long time ago. I guess I m getting less time to post articles nowadays so it might be okay to bring up some lesser read articles of my blog into spotlight. Jokes apart, lets get to business. 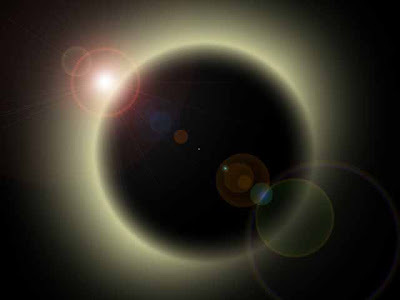 This Solar eclispse can be used as a great background too. Even beginners should try this tutorial. 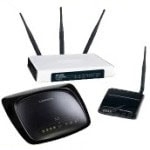 You will get to know some Tools and their use. It's not at all difficult. I've tried to make it as simple as possible for even beginners to understand.So here goes. 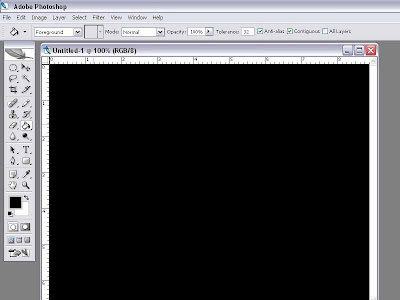 Step 1 : Open a New 640 x 400 pixel document by going to File>New. 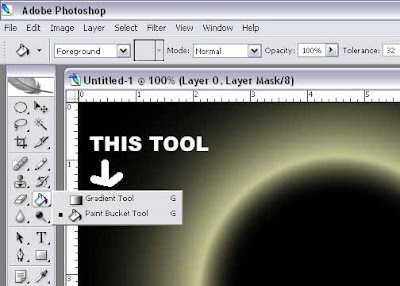 Step 2 : Click the Paint Bucket Tool. Set the Background colour to Black. (It is so by default). Step 3 : The White Layer has been filled with Black using the Paint Bucket Tool. 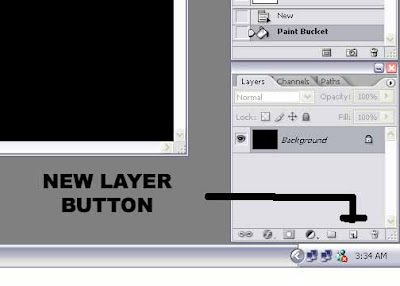 Step 4 : Click the New Layer Button shown. It will create a new layer. Step 5 : The New Layer has been created. 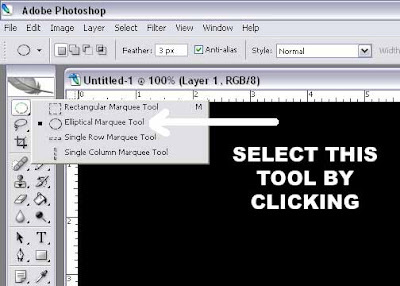 Step 6 : Select the Elliptical Marque Tool by clicking it. Step 7 : Press Shift on the keyboard and drag. 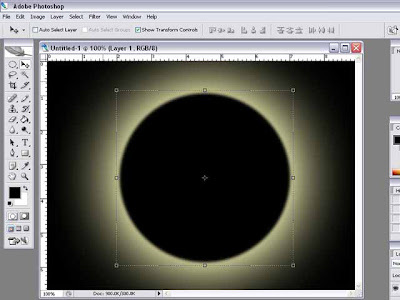 A perfect circle will be created. Step 8 : Now set the Foreground Colour to White. 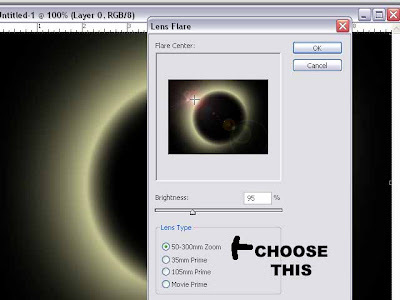 Clicking on the small arrow switches between the Foreground and Background colour. 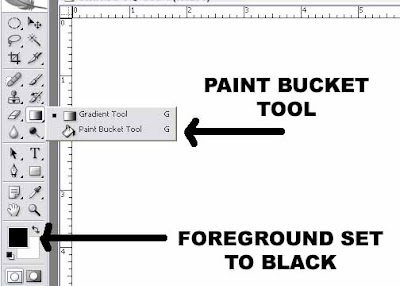 Select the Paint Bucket Tool again. 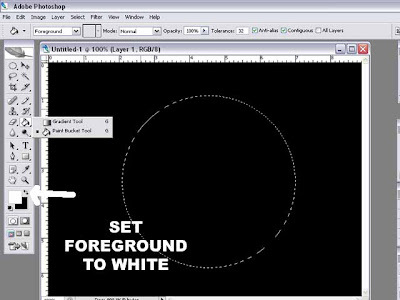 Step 9 : This is how it should look after filing the circle with White. 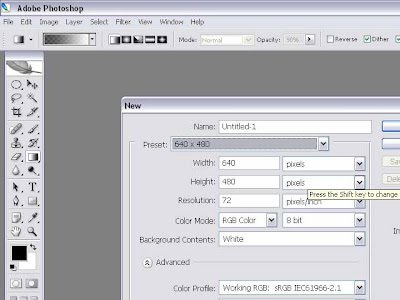 Step 11 : The Opacity and Fill Sliders are in the Layers/Chanels/Paths pallette at bottom right of Photoshop. 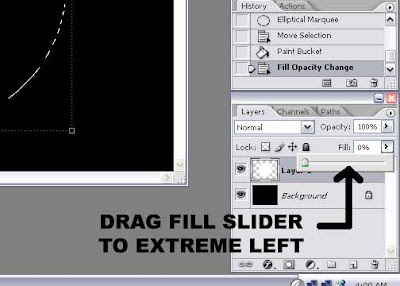 Drag the Fill slider to the extreme left. 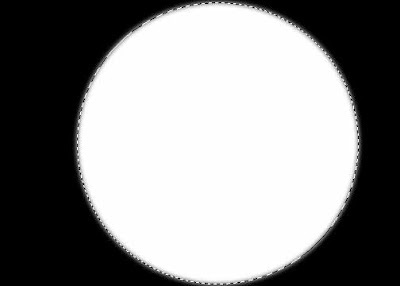 This will cause the white circle to disappear. 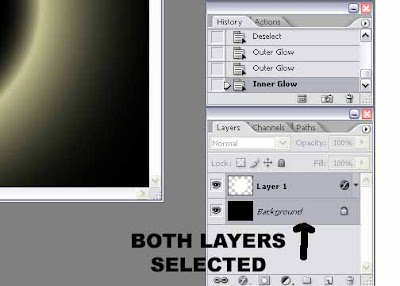 Step 12 : Go to Layer>Layer Style>Outer Glow as shown. 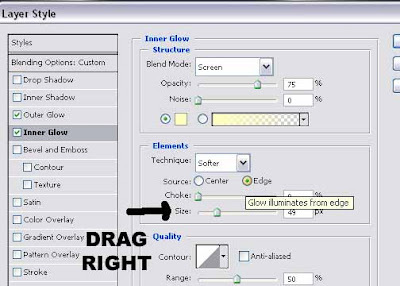 Step 13 : Drag the Size Slider to the right after this dialogue box opens. There is no hard and fast rule how much you should drag. It should satisfy you. Step 14 : This is how it should looks after clicking OK. Now REPEAT this step. Step 15 : This is how it look after repeating the above step. The glow is more diffused now. 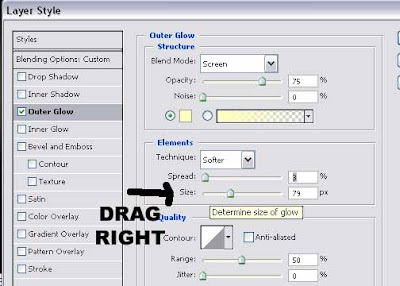 Step 17 : In the dialogue box which opens drag the Size slider to the right till you are satisfied with the result. Click OK. 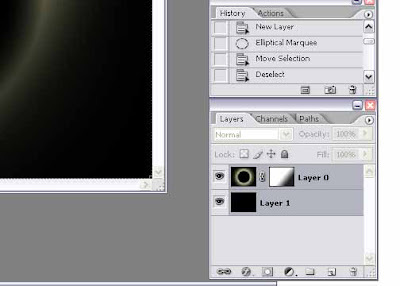 Step 18 : Now go to Layers/Channels/Paths pallete. 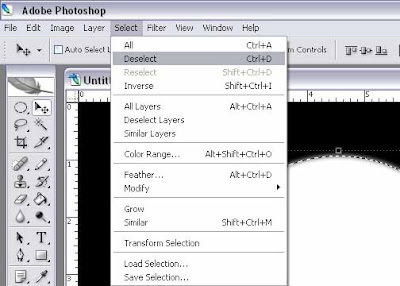 Press SHIFT on the keyboard to select both Background and Layer 1. Step 19 : Now right click as shown. It will bring up the dialogue box as shown. 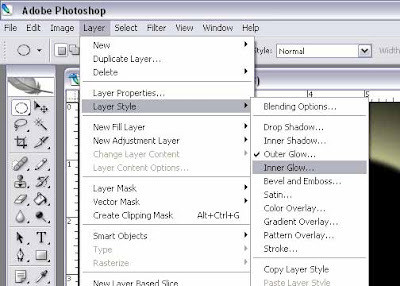 Click MERGE LAYERS. Step 20 : The Layers have been merged. 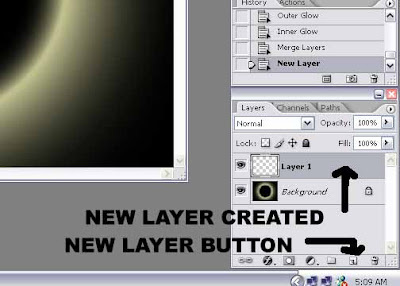 Step 21 : Now click the New Layer Button. 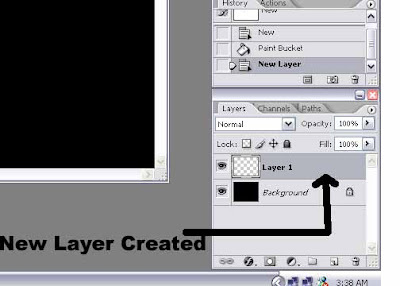 It will create a new layer as shown. Step 22 : Double click the background. 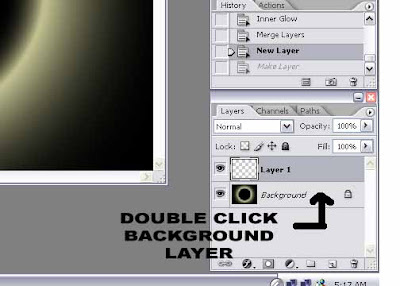 The background layer cannot be edited. Therefore double click it to make a copy of it. 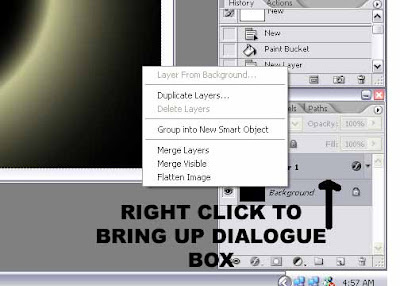 Step 23 : This dialogue box opens click OK. 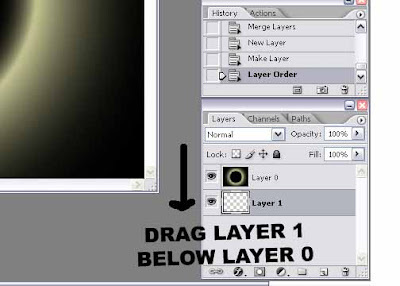 Step 24 : Now drag Layer 1 below Layer 0 as shown. Now Fill Layer 1 with Black using the Paint Bucket Tool. 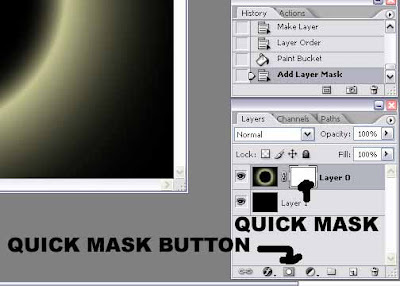 Step 25 : Now click Layer 0 and click the Quick Mask button. 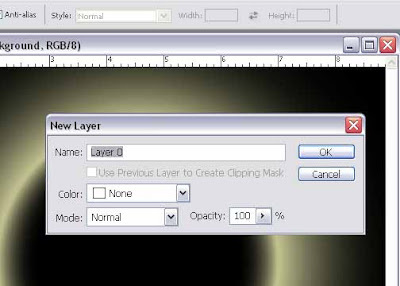 It will create a Quick Mask on Layer 0. 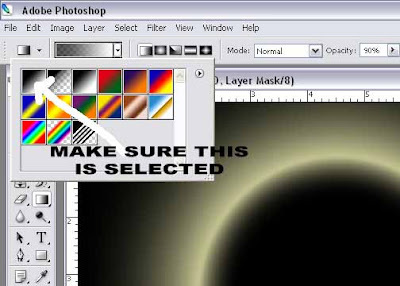 Step 26 : Now click the Gradient Tool shown above. 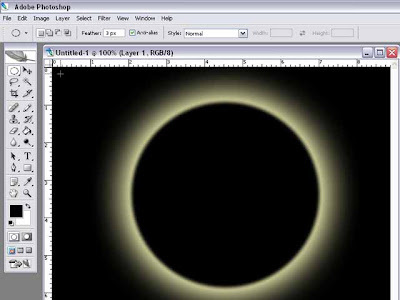 Step 27 : Make sure the Black to White gradient is selected. You can select it by clicking it if it is not selected. 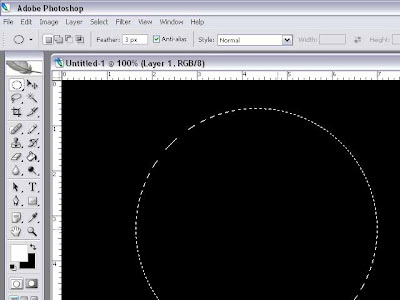 Step 28 : Now drag the Gradient Tool from the bottom right to the middle as shown. Step 29 : This is how it looks after applying the gradient. A few more steps remain. Just be patient. 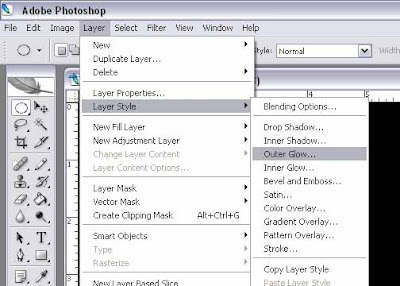 Step 30 : Now just as in Step 18 and 19 select both the layers by clicking on the layers while pressing SHIFT key. 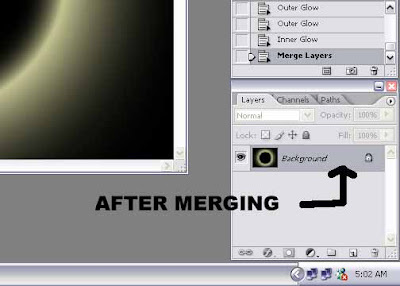 Then Merge both layers. 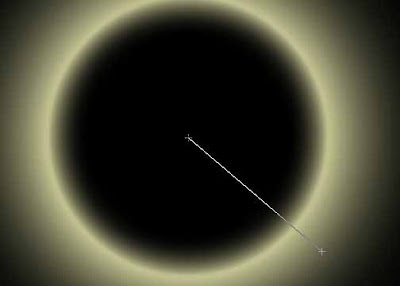 Step 31 : Now go to Filter>Render>lens Flare. Step 32 : When the above dialogue box opens choose 50-300mm Zoom. The first one and click ok. That is all. 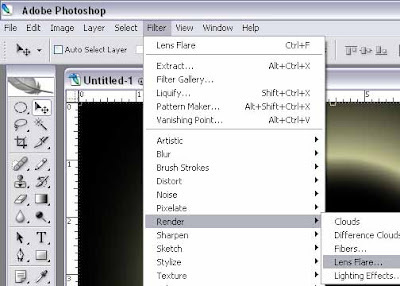 Great tutorial you have done, it is very helpful for me. Thanks a lot for sharing with us ! !